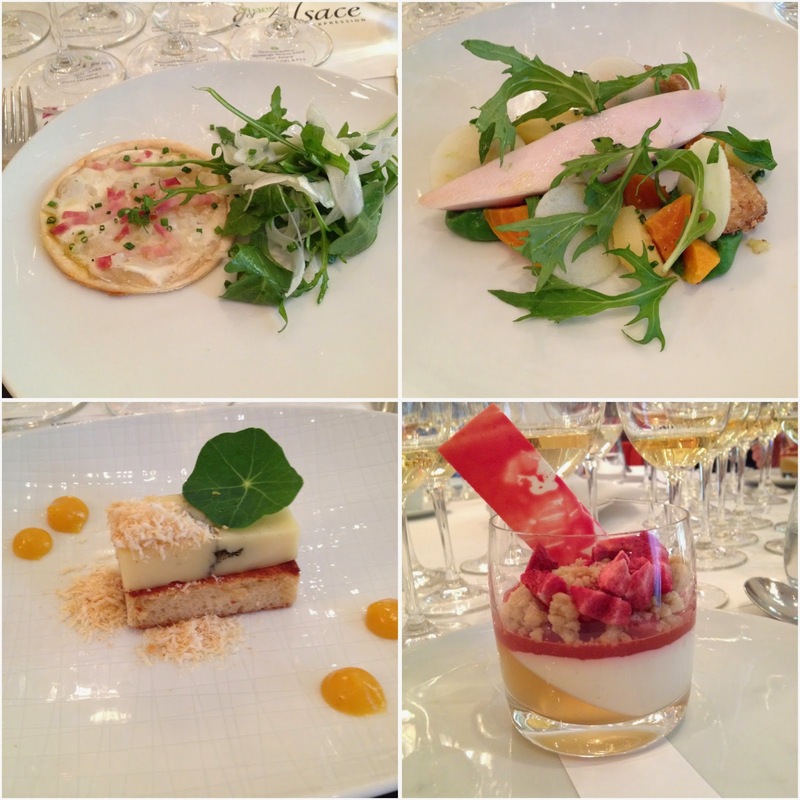 Yesterday I had the pleasure to attend an Alsace luncheon hosted by Thierry Fritsch, Enological Engineer for the CIVA and enjoy the experience of the wonderful food friendly wines of the Alsace. Alsace in a nutshell is a wine region of whites (90% production), home to Hansel and Gretel villages, twenty-six Michelin starred restaurants, and the love child of both France and Germany. The past tug of war conflicts between France and Germany has left a footprint affecting language, food, and wine production. 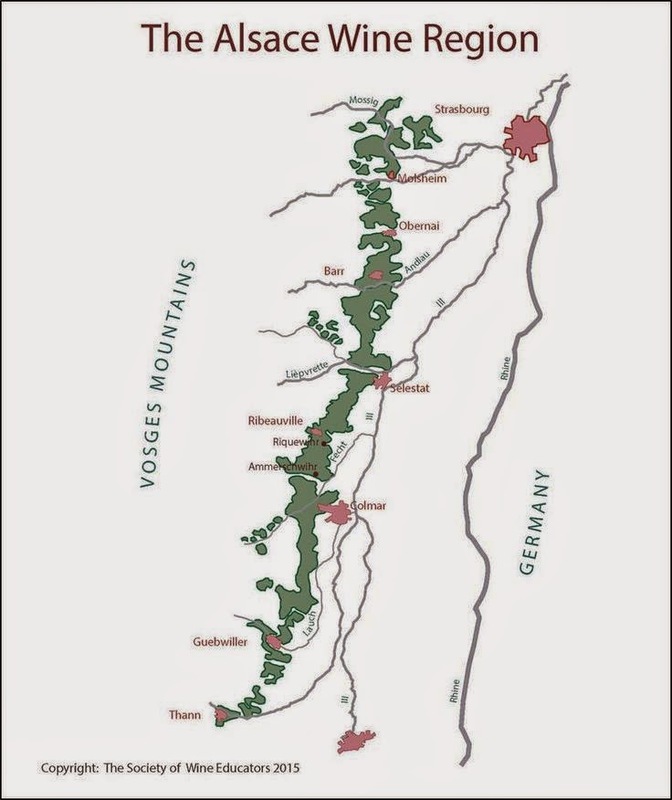 Alsace has 15,500ha of vineyards, 4,400 grape growers, and a miscellany of terroir with thirteen types of marls, schist, sandstone, limestone, chalk, clay, and granites that affect the unique wines of this region. The Alsace region is four times longer than wide and is nestled between the horsts of the Vosges Mountains and Black Forest that not only effects its geology and climate, but also its culture. There are only three AOC for the region; Alsace, Alsace Grands Crus (51 site specific vineyards and four per cent of total production) and Cremant d’Alsace (white and rose sparkling wines). Two variants of late harvest wines, Vendange Tardive (VT) and Selection de Grains Nobles (SGN), around out the wine styles. If the grape variety is mentioned on the label, the wine must be made from one hundred per cent of the variety listed. The primary grapes of Alsace are Riesling, Pinot Gris (formerly Tokay Pinot Gris until 2006), Muscat, and Gewürztraminer. Thierry commented on the nature of Alsace wines; which are fermented totally dry, rarely under go malolactic fermentation, and are made to retain their crunchy acidity and food pairing ability. The wines are ideally suited for the Germanic influenced foods like sauerkraut, tart flambee, and fatty meats. The wines freshness and acidity makes Alsace whites perfect with similar pickled dishes from Asia (kimchi, tsukemoono, and suan cai). Truly international food friendly wines. Hawksworth Restaurant did a wonderful job of pairing up the wines with a number of courses along with their polished and professional sommelier service. The tart flambee with bacon, sweet onion, and arugula was perfect with the Sparr Pinot Blanc, a slow cooked chicken breast, confit chicken wing, broccoli, and a fingerling potato salad worked well with Pfaffenheim Pinot Gris, the cheese course with the Morbier on a brioche with apricot puree and spiced almond was a bit more challenging matching the slightly bitter note of the cheese with the Gewurz bitterness. The VT wine was a nice match to the tartness of the rhubarb in the vanilla crème with chamomile, poached rhubarb and strawberry. Subtle pink with a fine mousse. Medium-bodied with crisp acidity and flavours of strawberry, red cherry, subtle biscuit notes, herbs, and a touch of mineral in the finish. Straw-green with aromas of apple, flower blossom and citrus. Medium-bodied, medium acidity, and a lovely lush and juicy wine with apple, pear, flowers, and a touch of exotic spice. Pale straw with fresh lime aromas. Medium-bodied with zesty acidity, good concentration, and flavours of lime, green apple, lemon zest, and a touch of mineral in the long finish. Yellow green colour with aromas of flowers, herbs, and lemon. Full-bodied, rich with concentrated flavours of honey, spice, poached pear, and minerals. Will improve with another 3-5 years of cellaring. Yellow gold with aromas of butter and malo. Medium to full-bodied with good concentration and flavours of grapefruit pith, subtle malo, and ginger. Yellow gold with a green tinge. Aromas of pineapple and flint. Medium to full-bodied with ripe fruit (smoked pineapple and Mirabelle plum). Richly textured with honeyed rs notes. Straw yellow with aromas of subtle rose and ginger. Full-bodied, dry, concentrated, and richly oily in texture. Fantastic flavours of grapefruit pith, Turkish Delight, and melon. Straw yellow with a somewhat closed nose of rose and mineral. Medium-bodied, some rs with flavours of spice, rose, and citrus. Yellow gold with aromas of ripe tropical fruit, spice, and subtle botrytis. Full-bodied, complex, and rich with perfectly balanced acidity and sweetness. Loads of spice, honey, barley sugar, peach and earthy botrytis hints. 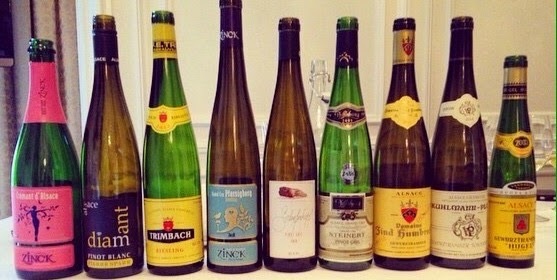 For additional information on the wines of Alsace click on this link.